Strongco annonce la promotion de Kevin Disher au poste de vice-président régional, CASE. Dans ses fonctions, il sera entièrement responsable de la division CASE. «Lors de son parcours chez Strongco, Kevin a apporté une contribution significative à la réussite de notre entreprise et je suis convaincu qu’il permettra à la division CASE d’atteindre de nouveaux sommets», indique Oliver Nachevski, vice-président et directeur de l’exploitation de Strongco. Kevin Disher s’est joint à Strongco en 2012 et, pendant 6 années, il a occupé le poste de directeur des ventes de la division CASE en Ontario. Avant Strongco, monsieur Disher a occupé le poste de directeur des ventes régionales des camions Mack de classe 8 et directeur du soutien technique chez Detroit Diesel du Canada. Lors de ses nombreuses expériences auprès des grands réseaux de concessionnaires canadiens et dans toutes les facettes de l’industrie, y compris les pièces et le service, il a démontré sa capacité à hausser la barre pour obtenir des résultats et à mettre en pratique la philosophie de perfectionnement continu de Strongco. Grâce à ses antécédents dans l’industrie et ses compétences exceptionnelles de leadership, Kevin Disher possède tous les atouts nécessaires pour diriger l’équipe Strongco CASE avec succès. Total Canada annonce la venue de Julie Caron en tant que nouvelle gérante de territoire dans la province du Québec. Julie sera en charge du développement des ventes pour les lubrifiants poids-lourds et industriels dans la région de Montréal. Madame Caron compte plus de 15 ans d’expérience dans la vente industrielle. lle détient également un diplôme en psychologie qui lui a bien servi tout au long de sa carrière en vente et qui continuera de la servir dans le futur. Enfin, Julie Caron a déjà démontré sa capacité à répondre aux questions de ses clients en leur proposant des solutions à valeur ajoutée. Tous les membres de l’équipe de Total Canada sont très contents de la compter parmi eux et sont confiants qu’elle aura beaucoup de succès dans ses nouvelles fonctions. Mr. Klant joined Continental back in 1988. Since then, he has held several positions in international marketing and sales management. In 2004, he joined the Continental Commercial Specialty Tire unit. Most recently, he was responsible for the Benelux markets and a key account manager at Commercial Specialty Tires. 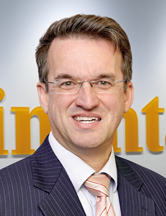 Reinhart Klant succeeds Christian Luther, who has recently taken over global responsibility for the technical customer services at Continental CST. 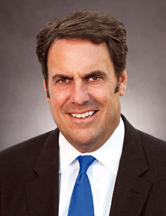 General Motors recently announced the appointment of Mark Reuss as company president, effective immediately. Mr. Reuss currently leads the Global Product Group and Cadillac and will now assume responsibility for the Quality organization. Mr. Reuss added responsibilities for Cadillac and global portfolio planning in June 2018. Since then, he has been building an integrated product development and Cadillac organization to support an accelerated product and technology launch cadence and the brand’s global growth plans. Cadillac will be introducing a new vehicle every 6 months through 2021. Mark Reuss has also been leading the transformation of the company’s global product development workforce and processes to drive world-class levels of engineering in advanced technologies and improve quality and speed to market. He is doubling the resources allocated to electric and autonomous vehicle programs in the next 2 years. 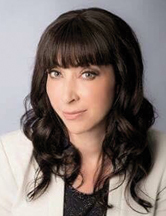 Hatz Diesel of North America has appointed DeeAnn Curzon as the new executive assistant to the president and management team. She brings over 25 years of administrative experience to Hatz including operations, project coordination, data management systems and scheduling. At her previous position, she served as the lead administrative team professional for a corporate appraisal firm in Milwaukee. While there, she was instrumental in the implementation of a new corporate structure, improvement of management systems for calendar planning and the training of regional staff. “DeeAnn’s drive, commitment and experience will help her become an important part of our Hatz Team,” said Mike Hartoonian, president and CEO of Hatz Diesel of North America. The company has also officially named Steve Zovar as customer service manager for North America. He will oversee Hatz parts, service, warranty and technical support which has been placed under a single umbrella. “This new position has been created to streamline all aspects of our customer service and improve the customer experience,” added Mr. Hartoonian. Hatz Diesel is a worldwide leader in the manufacture of high quality diesel engines from 3 to 78 hp that are used in industrial, construction, military, marine, railroad, turf care, power generation, material handling, agricultural, mining, transportation, forestry and rental equipment applications. 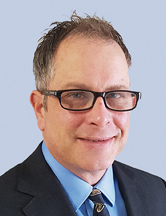 iQ Power Tools, manufacturer of premium power tools with integrated dust collection technology, has announced the promotion of Paul Guth to president. 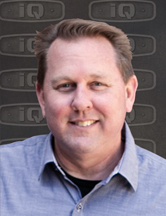 For over 15 years, Mr. Guth has been the vice president of product development at iQ Power Tools. A 3rd-generation mason by trade, he brings over 30 years’ experience as a general, masonry, concrete and tile contractor, providing major contractor insight to all of iQ Power Tools’ designs. As the firm’s lead designer, Paul Guth not only managed a creative team for solution-based tool designs, he also has invented, designed and patented several innovative new tools and fastening solutions for the construction industry. A true inventor, he currently holds 10 patents plus numerous new inventions in patent-pending stages. During his extensive career, Mr. Guth has managed the research and development, production, and distribution of related construction power tools, diamond blades, fasteners, and more. He has been responsible for introducing game-changing dust collection solutions to the construction marketplace via new product launches and industry tradeshows. Recognizing that health and safety in construction is a global issue, Paul Guth is spearheading the path to expand iQ Power Tools beyond North America to the global construction markets starting in Europe, Australia, and eventually, the world. Nortrax would like to announce that president and CEO Tim Murphy has decided to retire from the company. Chris P. Holmes, currently vice president of product support and marketing, has been appointed to the position, effective January 1st, 2019. Mr. Holmes will lead the Nortrax organization in the U.S. and Canada as it aims to further develop Nortrax locations with the best in equipment, customer support and technology. After graduating from the University of New Brunswick in 1985, Chris Holmes began his career with John Deere and held roles of increasing responsibility in sales, marketing and customer support across Canada. He was also in a leadership role at a major construction and forestry dealership in Ontario, which eventually became a part of Nortrax Canada. Since 2014, he has served as Nortrax vice president of product support and marketing. In this position, he has successfully led the growth and development of the marketing, customer support, and technology groups for the company. In addition, Mr. Holmes has been actively involved in various supplier advisory roles throughout his career. After nearly 19 years of dedicated service, Tim Murphy has elected to retire, effective January 1st. Mr. Murphy began his career with Nortrax in 2000 as vice president and general manager of the Midwest region in the U.S. In 2013, he was named to his present position, in which he has led the Nortrax organization with a keen eye on managing transition and change.